Budget-minded shoppers looking for their next car will probably end up turning towards a used vehicle. 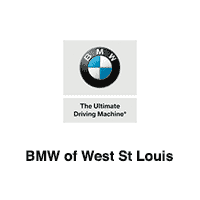 With BMW of West St Louis, you’ll be able to get that BMW luxury feeling without opting for an outdated model. Through our certified pre-owned inventory, Ballwin drivers will find quality vehicles with modern tech and features without having to pay that new vehicle sticker price. We know that the car buying process can be stressful sometimes, but we’re determined to help ease that burden on every level. Contact us today to learn more about these offers and to discuss our financing options with one of our experienced staff members. At BMW of West St Louis, we know you’ll find that luxury car you’ve been searching for at a price that you’ll love. Priced below KBB Fair Purchase Price! Original MSRP $48,620!, Active Driving Assistant, Cold Weather Package, Comfort Access Keyless Entry, Driver Assistance Package, Driver Assistance Plus, Heated Front Seats, LED Headlights w/Cornering Lights, M Sport Package, Navigation System, Panoramic Moonroof, Parking Assistant, Power Liftgate, Premium Package, Rear-View Camera, Sport Seats, Wheels: 18" x 7.5" Light-Alloy Double-Spoke. Black Sapphire Metallic 2016 BMW X1 xDrive28i AWD 8-Speed Automatic 2.0L 4-Cylinder DOHC 16V TwinPower Turbo 22/32 City/Highway MPG BMW Certified Pre-Owned Details: * 1 year/Unlimited miles beginning after new car warranty expires. * Transferable Warranty * Roadside Assistance * Multipoint Point Inspection * Vehicle History * Warranty Deductible: $0 Awards: * 2016 IIHS Top Safety Pick+ * 2016 KBB.com 10 Best Luxury Cars Under $35,000 Reviews: * Class-leading cargo capacity; quickest and most agile among its competitor; interior materials are of the highest quality and constructed with detail and care. Source: Edmunds * Exceptionally powerful engine; slick automated manual transmission; richly trimmed and well-equipped interior; impressively supportive and comfortable front seats. Source: Edmunds * Long list of standard features; richly trimmed interior; seductive coupelike appearance. Source: Edmunds Whether you are interested in learning more about our team or are ready to begin shopping with us, we invite you to visit our showroom today. Conveniently located on Manchester Road just west of Hwy 141 in Manchester, MO, our team looks forward to helping you experience new levels of affordable luxury. *See dealer for details. **Note: All sale prices and discounts listed above, include all available factory incentives, discounts and rebates. Special rates must finance through BMW Financial. These are subject to change at any time. Priced below KBB Fair Purchase Price! Original MSRP $40,475! Off Lease, One Owner, Clean Vehicle History. Drive in confidence with xDrive All Wheel Drive and Driving Assistance Package. Backed by the BMW Unlimited Mile Warranty!, Auto-Dimming Interior & Driver Exterior Mirrors, Cold Weather Package, Comfort Access Keyless Entry, Driver Assistance Package, Heated Front Seats, LED Headlights w/Cornering Lights, Panoramic Moonroof, Park Distance Control, Parking Assistant, Power Liftgate, Premium Package, Rear-View Camera, Universal Garage-Door Opener. Jet Black 2016 BMW X1 xDrive28i AWD 8-Speed Automatic 2.0L 4-Cylinder DOHC 16V TwinPower Turbo Odometer is 1496 miles below market average! 22/32 City/Highway MPG BMW Certified Pre-Owned Details: * Vehicle History * Multipoint Point Inspection * Warranty Deductible: $0 * Transferable Warranty * Roadside Assistance * 1 year/Unlimited miles beginning after new car warranty expires. Awards: * 2016 IIHS Top Safety Pick+ * 2016 KBB.com 10 Best Luxury Cars Under $35,000 Reviews: * Class-leading cargo capacity; quickest and most agile among its competitor; interior materials are of the highest quality and constructed with detail and care. Source: Edmunds * Powerful and fuel-efficient engines; engaging handling; upscale interior; hatchback-style utility. Source: Edmunds * Long list of standard features; richly trimmed interior; seductive coupelike appearance. Source: Edmunds Whether you are interested in learning more about our team or are ready to begin shopping with us, we invite you to visit our showroom today. Conveniently located on Manchester Road just west of Hwy 141 in Manchester, MO, our team looks forward to helping you experience new levels of affordable luxury. *See dealer for details. **Note: All sale prices and discounts listed above, include all available factory incentives, discounts and rebates. Special rates must finance through BMW Financial. These are subject to change at any time. Original MSRP $64,250! Best value within 400 miles! Schedule a test drive today!, Cold Weather Package, Comfort Access Keyless Entry, Convertible HardTop, Driver Assistance Package, Head-Up Display, Heated Front Seats, Heated Steering Wheel, M Sport Package, Navigation System, Neck Warmer, Park Distance Control, Premium Package, Rear-View Camera, Satellite Radio, Technology Package. Melbourne Red Metallic 2016 BMW 4 Series 428i xDrive AWD 8-Speed Automatic 2.0L 4-Cylinder DOHC 16V TwinPower Turbo 21/33 City/Highway MPG BMW Certified Pre-Owned Details: * Warranty Deductible: $0 * Transferable Warranty * Vehicle History * 1 year/Unlimited miles beginning after new car warranty expires. * Multipoint Point Inspection * Roadside Assistance Reviews: * Dynamic handling; powerful yet fuel-efficient engines; upscale interior with straightforward controls and spacious seating. Source: Edmunds * Long list of standard features; richly trimmed interior; seductive coupelike appearance. Source: Edmunds * Powerful and fuel-efficient engines; engaging handling; upscale interior; hatchback-style utility. Source: Edmunds Whether you are interested in learning more about our team or are ready to begin shopping with us, we invite you to visit our showroom today. Conveniently located on Manchester Road just west of Hwy 141 in Manchester, MO, our team looks forward to helping you experience new levels of affordable luxury. *See dealer for details. **Note: All sale prices and discounts listed above, include all available factory incentives, discounts and rebates. Special rates must finance through BMW Financial. These are subject to change at any time. Drive in confidence with BMW xDrive All Wheel Drive and Driving Assistance Plus! Original MSRP $68,195. Best value within 250 miles! Schedule a test drive today!, Active Blind Spot Detection, Active Driving Assistant, Cold Weather Package, Convertible HardTop, Driver Assistance Package, Driver Assistance Plus, harman/kardon Surround Sound System, Head-Up Display, Heated Front Seats, Heated Steering Wheel, Luxury Package, Navigation System, Neck Warmer, Rear-View Camera, Side & Top View Cameras, Technology Package. Black Sapphire Metallic 2016 BMW 4 Series 435i xDrive AWD 8-Speed Automatic 3.0L I6 DOHC 24V TwinPower Turbo Odometer is 10606 miles below market average! 20/29 City/Highway MPG BMW Certified Pre-Owned Details: * Roadside Assistance * 1 year/Unlimited miles beginning after new car warranty expires. * Transferable Warranty * Multipoint Point Inspection * Vehicle History * Warranty Deductible: $0 Reviews: * Dynamic handling; powerful yet fuel-efficient engines; upscale interior with straightforward controls and spacious seating. Source: Edmunds * Powerful and fuel-efficient engines; engaging handling; upscale interior; hatchback-style utility. Source: Edmunds * Long list of standard features; richly trimmed interior; seductive coupelike appearance. Source: Edmunds Whether you are interested in learning more about our team or are ready to begin shopping with us, we invite you to visit our showroom today. Conveniently located on Manchester Road just west of Hwy 141 in Manchester, MO, our team looks forward to helping you experience new levels of affordable luxury. *See dealer for details. **Note: All sale prices and discounts listed above, include all available factory incentives, discounts and rebates. Special rates must finance through BMW Financial. These are subject to change at any time. New Price! This car qualifies for all new car rebates and incentives!, Backed by the BMW Certified Unlimited Mile Warranty, TIBBFX, Original MSRP $71,860, ACC Stop & Go + Active Driving Assistant, Active Blind Spot Detection, Active Driving Assistant, Adaptive Full LED Lights, Automatic High Beams, Comfort Access Keyless Entry, Driving Assistance Package, Driving Assistance Plus Package, Executive Package, Extended Collision Mitigation, Head-Up Display, Heated Steering Wheel, Luxury Line, Luxury Package, Parking Assistant, Premium Package, Rear Manual Side Window Shades, Soft-Close Automatic Doors, Surround View Cameras. Space Gray Metallic 2018 BMW X5 xDrive35i Sport Activity AWD 8-Speed Automatic 3.0L I6 DOHC 24V TwinPower Turbo Odometer is 2437 miles below market average! BMW Certified Pre-Owned Details: * Multipoint Point Inspection * Transferable Warranty * Roadside Assistance * 1 year/Unlimited miles beginning after new car warranty expires. * Vehicle History * Warranty Deductible: $0 Whether you are interested in learning more about our team or are ready to begin shopping with us, we invite you to visit our showroom today. Conveniently located on Manchester Road just west of Hwy 141 in Manchester, MO, our team looks forward to helping you experience new levels of affordable luxury. *See dealer for details. **Note: All sale prices and discounts listed above, include all available factory incentives, discounts and rebates. Special rates must finance through BMW Financial. These are subject to change at any time. This was a new car that was enrolled in our Service Loaner Fleet!, This car qualifies for all new car rebates and incentives!, TIBBFX, Original MSRP $71,960, Qualifies for all new car Rebates and Incentives!, Active Blind Spot Detection, Active Driving Assistant, Active Driving Assistant Plus, Active Park Distance Control, Automatic High Beams, Comfort Access Keyless Entry, Driver Assistance Plus, Driving Assistance Package, Dynamic Digital Instrument Cluster, Executive Package, Gesture Control, Head-Up Display, Heated Front Seats, Icon Adaptive Full LED Headlights, M Sport Package 2, M Steering Wheel, Park Distance Control, Parking Assistant Plus, Power moonroof, Rear-View Camera, Soft-Close Automatic Doors, Surround View w/3D View, Wheels: 19" x 8" M Double-Spoke (Style 664M). Bluestone Metallic 2018 BMW 530e xDrive iPerformance AWD Steptronic 2.0L 4-Cylinder Odometer is 3135 miles below market average! BMW Certified Pre-Owned Details: * Warranty Deductible: $0 * Roadside Assistance * Multipoint Point Inspection * 1 year/Unlimited miles beginning after new car warranty expires. * Vehicle History * Transferable Warranty Whether you are interested in learning more about our team or are ready to begin shopping with us, we invite you to visit our showroom today. Conveniently located on Manchester Road just west of Hwy 141 in Manchester, MO, our team looks forward to helping you experience new levels of affordable luxury. *See dealer for details. **Note: All sale prices and discounts listed above, include all available factory incentives, discounts and rebates. Special rates must finance through BMW Financial. These are subject to change at any time. This was a new car that was enrolled in our Service Loaner Fleet!, This car qualifies for all new car rebates and incentives!, Backed by the BMW Certified Unlimited Mile Warranty, Original MSRP $72,110.00, Apple CarPlay Compatibility, Automatic High Beams, Comfort Access Keyless Entry, Executive Package, Exterior Parking Camera Rear, Gesture Control, harman/kardon Surround Sound System, Head-Up Display, Heated Front Seats, Icon Adaptive Full LED Headlights, M Sport Package, M Sport Suspension, M Steering Wheel, Navigation System, Power moonroof, Power Rear Sunshade, Premium Package 2, SiriusXM Satellite Radio, Soft-Close Automatic Doors, Wheels: 19" x 8" M Double-Spoke (Style 664M). Bluestone Metallic 2019 BMW 5 Series 540i xDrive AWD 8-Speed Automatic 3.0L I6 Turbocharged DOHC 24V LEV3-ULEV70 335hp 21/29 City/Highway MPG BMW Certified Pre-Owned Details: * 1 year/Unlimited miles beginning after new car warranty expires. * Multipoint Point Inspection * Vehicle History * Warranty Deductible: $0 * Transferable Warranty * Roadside Assistance Whether you are interested in learning more about our team or are ready to begin shopping with us, we invite you to visit our showroom today. Conveniently located on Manchester Road just west of Hwy 141 in Manchester, MO, our team looks forward to helping you experience new levels of affordable luxury. *See dealer for details. **Note: All sale prices and discounts listed above, include all available factory incentives, discounts and rebates. Special rates must finance through BMW Financial. These are subject to change at any time.